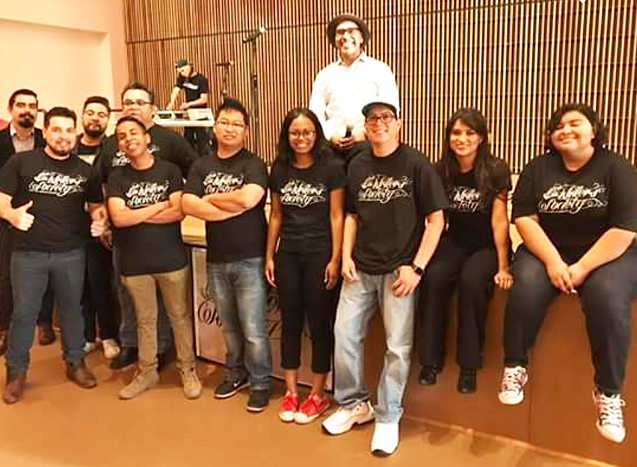 Juan Obed Silva is a professor at East Los Angeles College (ELAC) and, increasingly, a beloved educational role model throughout Southern California. In a moving 2011 Los Angeles Times tribute titled “Taking Advantage of a Second Chance,” award-winning novelist, journalist and University of Oregon School of Journalism and Communications faculty member Héctor Tobar wrote: “Born in Mexico but raised in Orange County, Silva is a 32-year-old former gang member paralyzed from a gunshot injury who reinvented himself as a scholar.” Six years later, Silva’s journey continues to reflect redemption and triumph. The parallels to a path previously trod by author, human rights activist, youth advocate and former Los Angeles Poet Laureate Luís J. Rodríguez are unmistakable. A nine-year teaching veteran–with the last three on the faculty at ELAC, Silva has also taught at Homeboy Industries, Cypress College and Orange Coast College. He has mentored Latino students across the Southland through the Puente Program and is active in the regional poetry scene. A recent reading with Rodríguez in the San Fernando Valley is just one example of commitments that have taken him from the UC Riverside campus to community-based Tonalli Studios gallery on Avenida Cesar Chavez in East LA’s Maravilla neighborhood. He is even featured in G-Dog, a documentary on Father Greg Boyle and his acclaimed gang intervention efforts. Undeniably inspiring, Silva’s story is now complemented by the equally compelling narrative centered on the young writers who have organized themselves as the “ELAC Writers’ Society.” Founded by Silva, the student-led campus club publishes a literary journal called East Side Rose and hosts regular cultural events both on and off-campus. He helped found the Society last year, says Silva, as a way to channel the enthusiastic response to his Creative Writing classes among students. The camaraderie and chemistry in Silva’s class are evident on a Tuesday night in May as students read their responses to a writing prompt aloud and listen attentively to their classmates. Albert Romero, 52-years-old, is among them and eagerly describes being struck on the first day of class when Silva divulged his personal past. 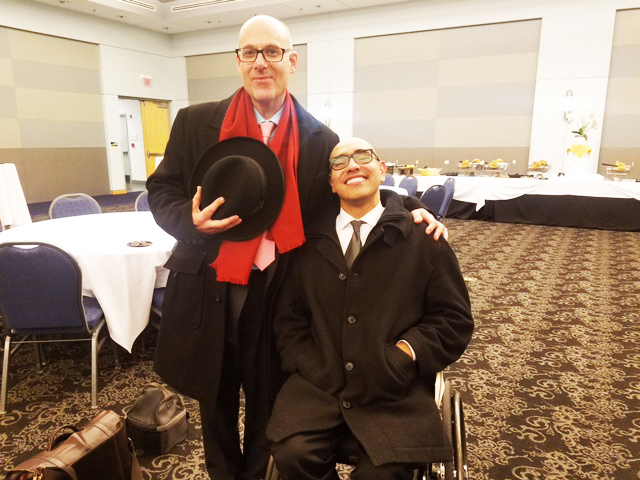 “Professor Silva related his story of how he came to be dependent on a wheel chair and how he became a serious student, college graduate and professor,” Romero says. Silva’s road to what could easily be described as a “rebirth” began in juvenile hall. His mother, he recalls, emphasized even then the importance of literature and repeatedly expressed her love of reading. At first resistant, he reveals, he began to consider her counsel as he began turning his life around. Reading played a critical and direct role in his transformation, Silva points out. During his discovery of literature, he found solace in the work of writers like Victor Hugo, Miguel de Cervantes and Rodríguez, author of Always Running: La Vida Loca: Gang Days in L.A. He also loved Tupac, and—once he went back to school—found Cal State LA professors Steve Texiera and Michael Calabrese, who encouraged him to write. Silva has since become closer to Tobar, who was kind enough to edit a few of his short stories. He is thankful, most of all, to his mother, who continues to motivate him, he says. He is also driven by the plight of undocumented immigrants who struggle to make a better life for their families and are now among those unjustly targeted by the Trump administration. “Juan Obed Silva is the incarnation of courtliness and old school respect which he gives to others and which he earns dramatically,” effuses Dr. Calabrese in an email. “He is one of the most charismatic, kind, thoughtful and indomitably strong students I have ever had. He still holds the record for seven courses taken with me at Cal State… and… was… a sterling exemplar [of] grace, clarity and humanism in writing and in his class participation.” Calabrese’s observations emphasize the genuine honesty and kindness that have earned Silva love and admiration among those he has taught. They recognize their own struggles in his hard-fought climb to success, one that defies stereotypes and statistics that often stigmatize Chicanos. An apprentice to master Mexican muralist Aaron Piña-Mora, his biological father was a brilliant painter, Silva concedes. Lamentably, the elder Silva was an alcoholic who ultimately chose drinking over his art. Inheriting his father’s creativity, Silva paints as well, but frowns on distraction. He refuses to be like his dad, and insists on uses his time wisely. “Nothing’s worse than wasted talent. I want to leave something behind,” he says. When he is not teaching, meeting with his students or grading papers, Silva writes, draws and paints. But he is clear about his primary calling. “I am dedicated to helping my students transform their life,” he says finally. After a series of early transgressions, it is obvious he has embraced his second chance and the opportunity to demonstrate the transformational power of art. Through the ELAC Writers’ Society, Silva has been able to help his students spread their wings even further. Romero and the other Society members, exemplify Silva’s commitment to opening doors. “Being his student has meant that I will constantly learn from his endless knowledge of literature, but also on how to better myself in a way that helps to empower myself and the community,” says Christian Siguenza. “I am challenged by him to read text that once seemed too difficult, to sit down and write of a past that sometimes is hard to revisit, to stand up in front of a classroom and read that paper that is so heavy with ink, pain, and tears, to stand in front of over 200 people and share what once made me feel weak but at the end… makes me feel stronger than I’ve ever felt before,” says Siguenza of Silva. Silva remains intent on helping students achieve the impossible. While academic life, his work with the Writers’ Society, his public appearances and readings keep him extremely busy, he is also completing a memoir he hopes to publish in the near future. His contagious enthusiasm for this—among all his worthy projects—is broadcast for all to see in a wide, bright smile, a firm handshake and always poignant words. For more information on East Los Angeles College Writers Society, email Obed Silva directly at: obedsilvaj@gmail.com. Mike Sonksen is an educator, a poet and one of the coolest Angelenos you'll ever meet. reach him at mikethepoetla@gmail.com.